Making music isn’t only fun, but it’s also a way for families to learn, grow and create great musical memories together. Some of my favorite memories with my children is sitting down at our piano and playing and singing our favorite hymns and songs together! I can't wait until my children are old enough to take piano lessons and create beautiful music on their own! 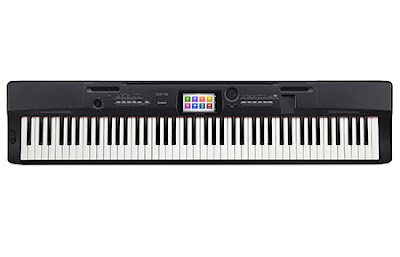 If you are looking for a quality piano to play or for your children to play, you have got to check out the Casio’s newest Compact Grand Piano, the CGP-700! It is a family-friendly piano that adds flexibility and fun to keep kids engaged in learning throughout the year. Having great keys means you need a truly great piano sound. The CGP-700's 9-foot concert grand piano sound is as impressive as it is thanks to a meticulous recording session with over two dozen microphones. The result is a dynamic and expressive concert grand piano that can be used in stereo or mono, and even includes damper resonance simulation. You'll find instant settings to adjust the piano for rock, jazz, classical, and other styles to suit your needs. The CGP-700 can also use the optional SP-33 pedal system, which provides soft, sostenuto, and damper pedals. 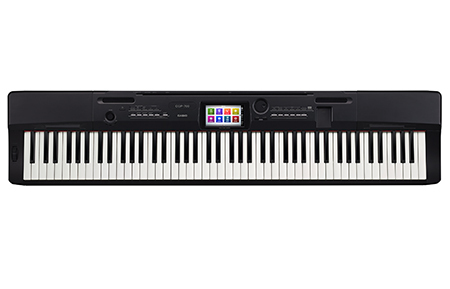 At your fingertips is Casio's famous Tri-Sensor Scaled Hammer Action II keyboard, accurately recreating the touch and response of a concert grand piano with 127 times the resolution of traditional keyboards. 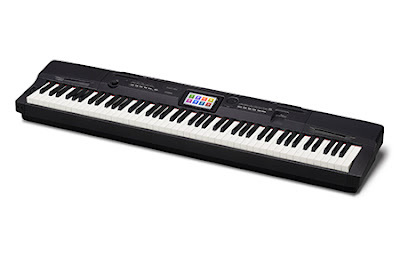 Suitable for the most demanding pianist, this keyboard also enables beginning players to develop proper playing technique. Just like a grand piano, the keys have a heavier feel in the lower register, and a lighter feel up top. Even the surface of the keys feels natural, with the reproduced textures of both ebony and ivory. The CGP-700 goes far beyond piano, with 550 different instrument tones. You'll find a variety of guitars, strings, basses, drums, synths, and more. There is also a powerful effects system with reverbs, delays, and other essential add-ons such as rotary speakers for organs and phasers for electric pianos. Quickly select one of the 200 ensemble Rhythms, which can accompany your playing with a full backing band which reacts to the chords that you play. You can also save combinations of your favorite tones, layers, splits, rhythms, accompaniment, and tempo for instant recall when performing. Small But Mighty: The superior design and feel of the CGP-700 is comparable to a standard grand piano, but is in a compact size ideal for the smallest rooms. It can also be used with or without the included stand, for easy portability. Easy to Use: Casio’s Color Touch Interface (CTI) is easy to navigate and has a color graphic touch display that provides access to every feature. Connectivity without Confusion: The class-compliant USB port on the CGP-700 can connect to a PC, Mac, or other devices such as an iPad, with no special drivers needed. Just connect, and instantly control your favorite software. Keep Your Creations: When you are inspired, it's quick and easy to record your performance. The CGP-700 includes both MIDI and USB audio recorders. Transfer your recordings easily to a computer to share your music. 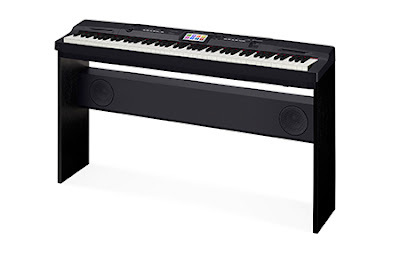 If you have always wanted a grand piano in your living room but don't have room or the money to spend on one, Casio’s newest Compact Grand Piano CGP-700 would be the perfect fit! You will love the beautiful sound, how easy it is to use and family-friendly it is and how beautiful the music is that you can make!